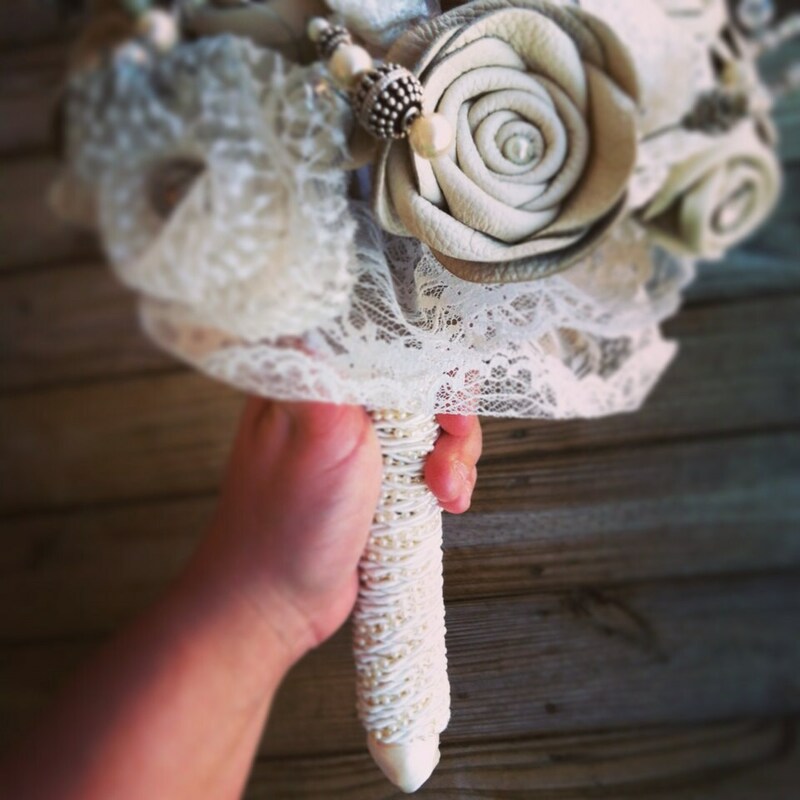 The Bouquet pictured in the photo is ready to ship. But I didn't stop with just leather. 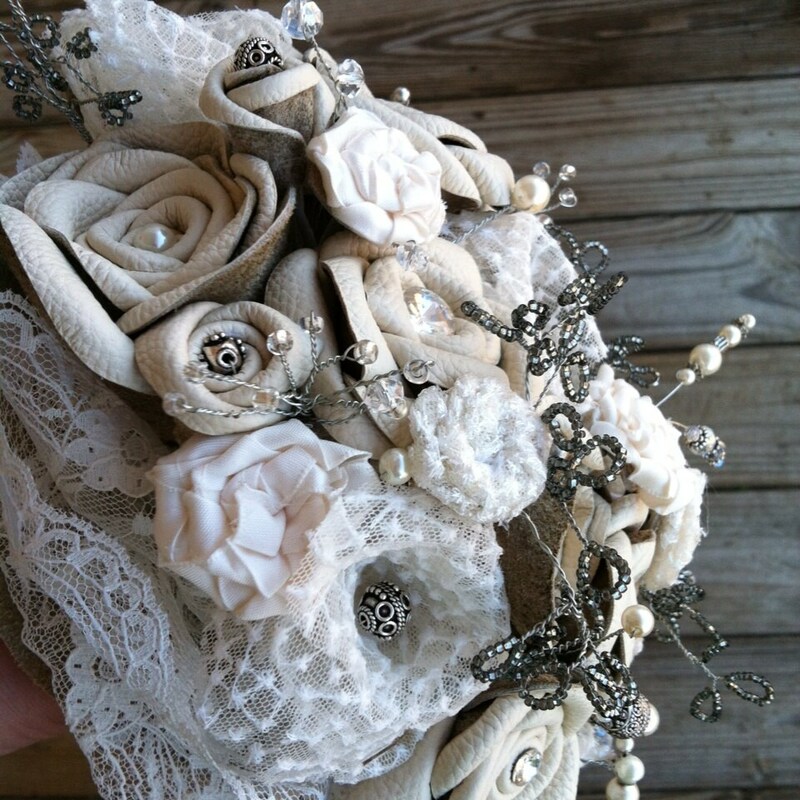 Leather marries lace for a truly spectacular bouquet. 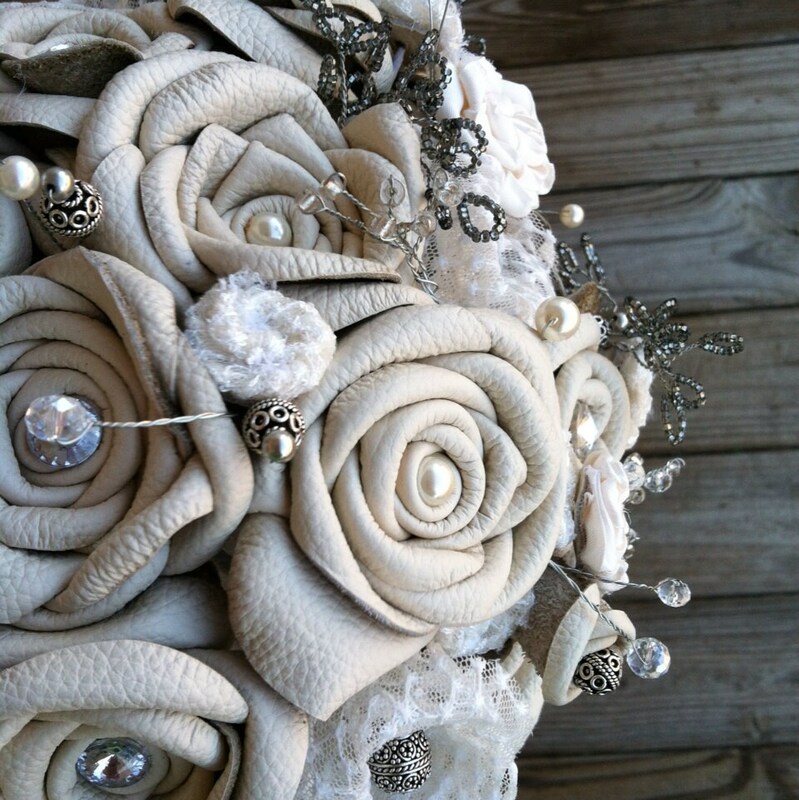 Hand sculpted lace roses are paired with ivory leather roses for a stunning effect. 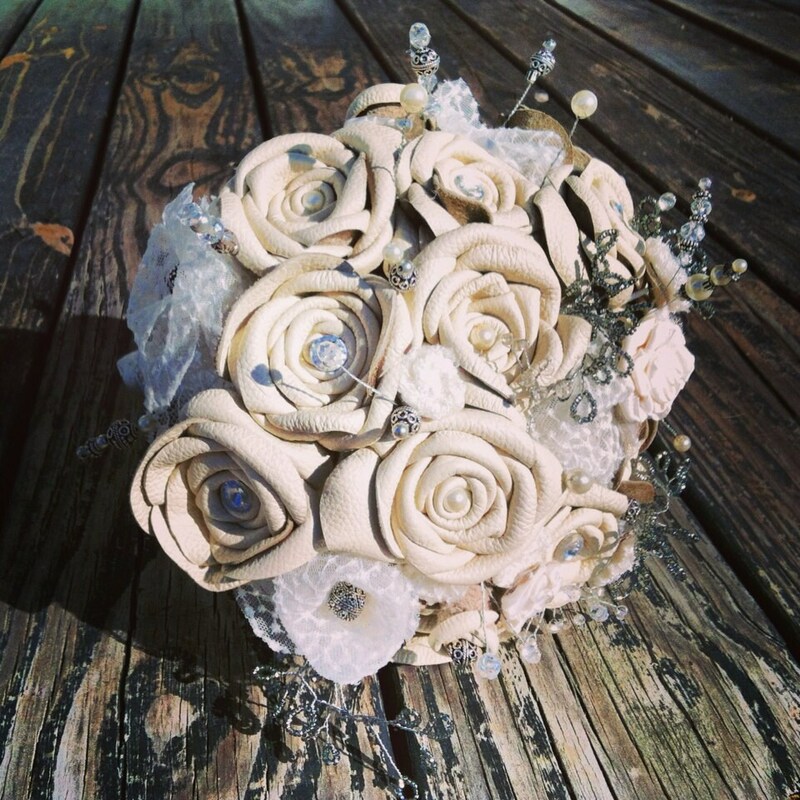 Small lace and satin rosettes are made for boquet filler. Handmade beaded branches were woven on silver wire for a baby's breathe effect. 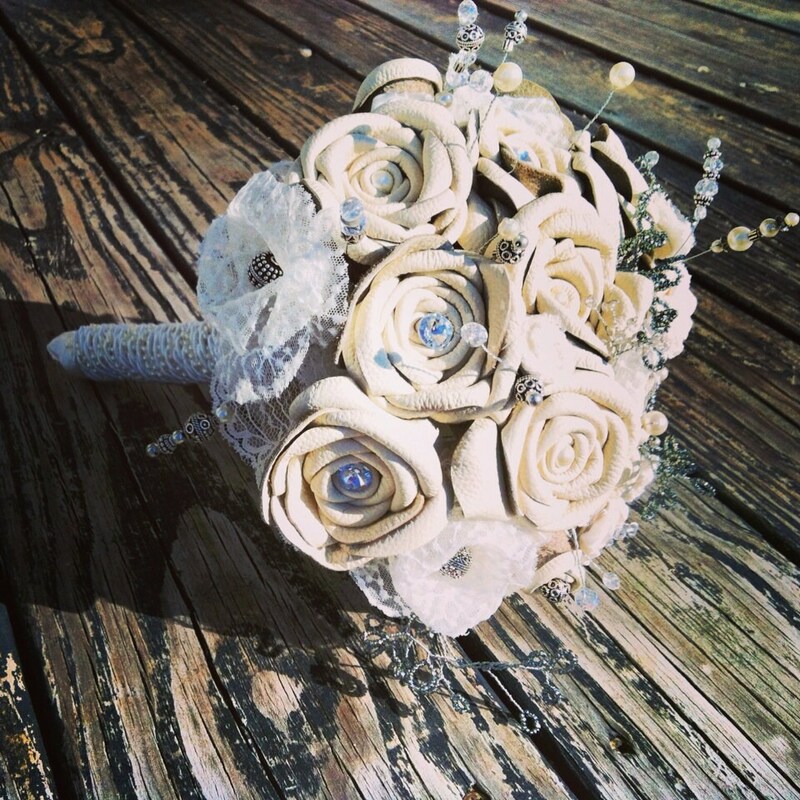 You will find Czech glass beads, pewter beads, sterling silver beads, pearls, rhinestones, and Swarovski crystals tucked amid the hand sculpted flowers. The bouquet pictures in the photo is ready to ship.